The 10 Best Places for Mac and Cheese in West Virginia! There are few foods that top the rich creamy cheese sauce that covers a variety of pasta and is served hot. Macaroni and cheese is one of America’s favorite comfort food when you’re feeling stressed or when you just want a taste of home. Listed below are 10 of the best places to get Mac & Cheese in the Mountain State. Later Alligator in Wheeling, West Virginia, has a reputation for the great food, and among the list is their mac and cheese. They also offer a variation of that old favorite—a pulled pork/mac and cheese sandwich with sautéed onions and served on grilled Italian bread. You won’t be disappointed! 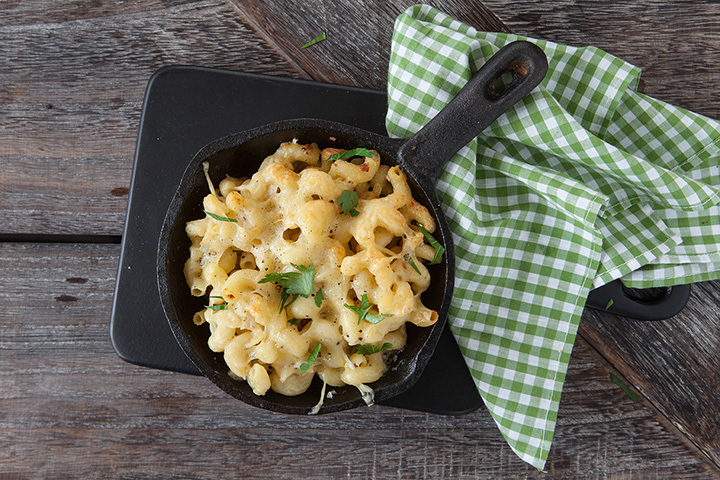 With all the traditional Irish bar food like bangers and mash, Irish stew, and plenty of craft beers and other popular alcoholic beverages, you wouldn’t think this is a place that would have great macaroni and cheese, but you’d be wrong. Stop by Meagher’s Irish Pub in Bridgeport, West Virginia, and try the classic mac and cheese, made with creamy cheddar jack cheese, baked and topped with more cheddar. Your stomach will thank you. You’ll be transported back to your childhood when you taste the deliciousness of the mac and cheese served at Dem 2 Brothers and a Grill in Charleston, West Virginia. What started out as a roadside stand has now grown into two restaurants and two food trucks that can be seen around the Charleston area every day except Sunday. High social media ratings, being featured on “Southern Fried Road Trip” on The Food Network, one taste will tell you why. This is one of West Virginia’s most popular barbecue places, serving great Southern-style barbecue featuring ribs, beef brisket, and chicken. Accompanying sides include coleslaw, baked beans, and their cheesy baked macaroni and cheese. You can bring all this flavor home when you have them cater your next event, too. Perfect for birthday celebrations and other happy events, Prime on 4th in Huntington, West Virginia, offers a great menu that includes prime rib and pecan-crusted chicken. Known as a casual but classy eatery, they have a fabulous “tappalachian” menu of small plated entrees country-fried green tomatoes, pork belly, and cheesy favorites like shrimp au gratin and hearth-fired mac & cheese. What could be better to add to your favorite barbecue meat than some of the area’s best homemade coleslaw, creamy mac and cheese, or sweet potato waffle fries? Maybe the barbecue baked beans, green beans, or tomato dumplings! Whatever you decide, When Pigs Fly BBQ in Lewisburg, West Virginia, will satisfy your taste buds. They also have a catering service and a Sunday buffet. Even though the Huntington Ale House in Huntington, West Virginia, is all out steak, burgers, and brews, this place is all about cheese. Hungry customers can choose from their bacon cheddar cheese fries to the deep-fried potato skins topped with cheddar cheese, bacon, and sour cream to the 10 different mac & cheese dishes offered. Their most popular choices are the pepperoni pizza mac & cheese, Cajun chicken mac, and the salmon & broccoli mac & cheese. Specializing in fresh and local farm to table ingredients, the Dish Café in Daniels, West Virginia, takes pride in serving and supporting the local community. Open every day and offering one of the best Sunday brunches around, hungry patrons can start with cheese fries or chicken lettuce wraps, then move on to a bone-in rib eye, Cajun shrimp over creamy polenta, or chicken parmesan. Popular sides include cherry pepper slaw, macaroni and cheese, and sweet potato fries. For satisfying soul food that’s good for your body and your soul, you need to try Diva Soul Food in Huntington, West Virginia. Offering catering services and plain good Southern cooking, everything made by this small but awesome little eatery is made with love. Try the pineapple chicken, green beans, macaroni and cheese, and banana pudding. It’s a party in your mouth. Your mouth will be watering when you look at the delicious menu from The Dirty Bird in Morgantown, West Virginia. Dirty chicken and dirty rice are just the beginning of a trip down culinary bliss. You can add dirty slaw, creamy macaroni and cheese, collard greens, or biscuits to complete your journey, but you’ll arrive full and satisfied.